I think that dedication would make a good universal mandate, wouldn’t it? To learn more about what makes a great pollinator plant, I called Matthew Shepherd, who has been with Xerces since 1999. He is their Communications Director, and has coauthored other Society publications, including their important “Pollinator Conservation Handbook.” Matthew is also a fellow gardener with an interest in creating gardens that provide for insects and other wildlife. Read along as you listen to the Nov. 14, 2016 edition of my public-radio show and podcast using the player below. You can subscribe to all future editions on iTunes or Stitcher (and browse my archive of podcasts here). Q. Matthew, before we get started: For people who don’t know Xerces Society and its work, can you give us a picture of what you do? A. We were founded in 1971, so we’re coming up for our 45th birthday. I’m sure many listeners have heard Robert Michael Pyle, the author and butterfly enthusiast. He’s the guy who had the idea for the Xerces Society when he was much younger—when we were all much younger. At the time, there were other organizations doing great conservation work, and he said there should be someone working on butterflies and insects, and set off to achieve that. We actually got our name off a butterfly that used to live on the San Francisco Peninsula, but went extinct in 1943—one of the first butterflies to go extinct through human activity. That’s our inspiration, and in the end the fundamental thing we’re trying to avoid is extinctions due to people. We work in various ways. Butterflies, bees, pollinators are the major things we’re working on, but we also do a lot of work on endangered species of all sorts. Some are those are butterflies and bumblebees, some are snails and stoneflies and all sort of less frequently encountered creatures. We also do a lot of work to decrease the impact of pesticides. Obviously insects are affected by them, so we’re trying to reduce the use and need for chemicals in the landscape. A. We’ve been running the Pollinator Conservation Short Course for a number of years, and have managed to present it in all 50 states, which is quite a thing to be able to say. I cannot remember how many people have passed through it, but it’s thousands now. We show them the diversity of bees they’re not noticing, and help them understand how they fit in the landscape and the habitat needs they have. By the end of the day we can send them off with more knowledge that’s specific about choosing plants, and how to provide for best sites and how to create and manage habitats—whether it’s a farm or garden or a public park. There are lots of different places where it can be applied. Q. The new book is not an entire encyclopedia, it’s a smallish book. I went through and at first though, “Oh, maybe I’ll know all the plants.” But that wasn’t really the case, and even when I did know a genus that was represented there were new ideas and a lot more information about its importance, beyond just providing nectar or pollen. It begins with some biology of both insects and of plants, especially of flowers, and how the plants and their pollinators make a good match. There is a section that is called, “What makes a good pollinator plant?” and I thought we could start there. A. It’s a great place to start. Anytime we present people with information we hope they’re not just going to go, “Oh, that’s great information,” but they’re going to understand why we presented it. Q. The “why” is where it’s at, isn’t it? A. Yes, we’ve got 100 great plants, but why are these plants so good? There are a bunch of things that influence the relationship between the pollinator and the plant. A. They’re just going out to feed their young, like I might go to a grocery store and pick food up from the shelves. That’s all the bees are doing. The coevolution has allowed these two apparently entirely separate things to develop and evolve together so that they have this incredibly close relationship. So the flower wants to attract the pollinator, so that it can move the pollen—and obviously there are some plants that don’t need a pollinator, and just throw their pollen to the wind and have to blow around. But if you’re trying to attract a pollinator, it’s got to be the right color. We know that bees and butterflies can see certain colors better than others. Typically a flower that is great for a bee is often blue or yellow or white, not red flowers. It just has to do with how the spectrum of how the eyes work. With a bee for example, a red petal looks green—and you try picking out a green flower on a green leaf, and you’ll know how difficult that is. The flowers’ colors are important. Another color that we can’t see is ultraviolet—and that is important for flowers because bees can see in this different spectrum from our own eyes. Quite a few flowers shimmer in the sunlight with ultraviolet colors, either a lot to attract the bee, or they have particular markings in ultraviolet that help to direct the bee once it gets to the flower, so it knows where to go to find the nectar or the pollen reward. A. It’s a bit like a target. The concentric rings help guide the bee in, and other flowers might have stripes. Sometimes we see these stripes, because they’re actually in colors that we can see. If you were to look at an iris flower, for instance, you can see the markings, and even the shape of the petals helps to guide the bee into where it needs to go; they’re bolder. Often they’re there, and we just don’t see them. Q. And then the color phases that the book mentions. As a gardener I’ve noticed that many flowers aren’t exactly the same color from the minute they open to the end of their flowering phase—they have a transitional series of colors. Apparently that also can be a signal to pollinators. A. For us, it’s probably most obvious on a plant like a lupine, which has a tall spike of flowers. If you’re a gardener you’ll just see that plant getting taller and taller, and there always seem to be fresh flowers on top. But if you look more carefully, you’ll the flowers do change color, and if you look from the bottom to the top you’ll see there is a color change. That reflects whether or not that flower is still producing pollen. Q. Like whether it’s in prime condition to be a good target for them. A. Exactly. And if you watch bees, they start at the bottom and work their way up. And then they fly to the next spike, and go down to the bottom of it and work up. That’s just one of the ways in which pollination has become more efficient. Q. Fragrance—we forgot to mention it, but it’s another thing that can make a plant a good pollinator plant. And it might not be the fragrance we’d choose for a bouquet to give to someone, like roses. Our impression of fragrance may be different from an insect’s. A. And it depends which insect is the pollinator. Some flowers rely upon flies—even your regular kind of houseflies—and those are attracted to your nasty, stinky stuff. So there are plants out there that if you or I were to go put our nose up to it, we’d wrinkle our nose and run away. But that’s just what that fly is seeking. Sometimes even when they are really close, insects will notice different fragrance and that’s another way in which it’s guided to whether the flower has a reward or not. Q. Even though I’m always thinking of making my backyard habitat more inviting, I confess I often forget about the hidden role that some plants serve as places for insects to either lay eggs or to overwinter, like in stems of brambles—the genus Rubus, our raspberry relatives. Besides the attractiveness of flowers, that’s another attraction. A. You mentioned the blackberries, and where I live, in Oregon, we have one that’s one of our biggest weeds and a real problem. And we don’t want to be encouraging that. But blackberries, raspberries, sumac, elderberries—these are plants that have very soft-centered stems and there are some bees that will be able to chew out down the middle of the stem, or find a hollow one, and that’s where they will go in and make their nests. Q. I think one of the most important things that we overlook all too often, because it’s less decorative, is to emphasize enough host plants—like for caterpillars. A. Caterpillars need the right plants to eat, because if they don’t have that they will just go hungry and shrivel up. It’s one of the things that gardeners don’t often like—the idea that you’re going to have a plant that’s going to have holes chewed in it. A. Or that you get this really hungry bunch of caterpillars that will chew it all the way down to the ground. And you’re like, “That’s not what I want.” But for the caterpillars, it is what they need. And if you want to have butterflies in your garden, or even a diversity of moths, because they are often overlooked but are wonderful and fascinating. Q. You know I am a little bit moth-crazy—I have confessed. Q. I confessed to you that I’ve just registered my 179th species of moth photographed in my garden. A. It’s amazing to know that, and also amazing that you have actually taken the time and interest. Q. And the thing is: I have no idea what I am doing really. I have a Peterson Guide, and no special equipment except a macro lens for my camera, and I go outside to my porch light every night a little bit during the warm months. If you really open your eyes, there is a lot going on out there, and it’s so cool. A. So often these things are happening and we’re not looking. I forget the exact numbers, but there was a study in England where someone actually was monitoring the insects in their garden, and they just did it in their spare time over 10 or 20 years, and they came up with something like 1,500 species of insects. And this was just in a small suburban garden, not a half-acre or even a quarter-acre—just a small plot. 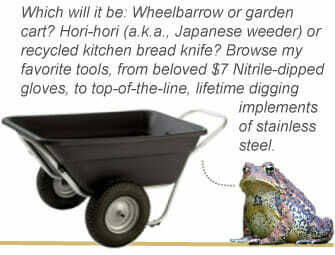 Gardens can support an incredible diversity. Q. Besides the obvious milkweed for monarchs example of a host plant that sustains the caterpillars, are there any others that you want to say to us, to recommend we include in our gardens? A. If you have space for stinging nettles, that might be one of them. Stinging nettles support all sorts of butterflies; they’re a really good one to have. A. They do, and if you want to get into it, they make good string and cord as well. [Laughter.] I’ve done some odd things over the years. Q. Yes, you apparently have. A. Lupines [above], as I mentioned, are cool because of the flower change. They also are a good one to have because there are various species of the little blue butterflies that will eat those, and also some of the sulphurs. It’s a beautiful plant, great for bees, and supports all these butterflies. Buckwheats—there are various buckwheats that support blues and hairstreaks and various others. And then it’s also worth just thinking about grasses, because there are a lot of butterflies whose caterpillars eat grasses, like bigstem, fescues, needlegrass, purple top. Various grasses that you could integrate into your landscape pretty easily. 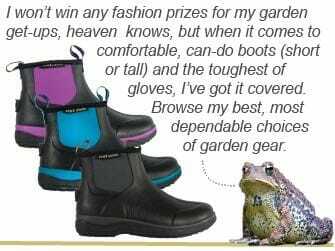 Q. I also think that we think “I’m going to plant wildflowers” to attract pollinators and other beneficial insects, we a lot of times think about herbaceous perennials, annuals and biennials, but forget how critical many shrubs and even trees are. You mentioned elderberries before, blueberries—how about some others? A. Golden currant [above, Ribes aureum in Margaret’s garden] is a lovely one to have, and then there is a red-flowering currant. The Oregon grape, the various Mahonia. And redbuds, both the Eastern and Western redbuds are a lovely source of early spring nectar. Q. And some of the hollies, like the inkberry (Ilex glabra)—there is a great plant instead of putting boxwood, which probably has no wildlife value, inkberry where it’s appropriate to the site is a small-leaved evergreen but has tremendous wildlife value. A. One thing I always think about when I am talking about gardening, is that you don’t have to think of your garden in isolation. You may or may not have enough space to grow trees and shrubs. If you have a small plot, you may not want to be putting too much shade into it; you might want to look around and see what else is in your neighborhood. Do you have a creek nearby, or a park nearby? If you’re in a rural area or right on the edge of an urban area, maybe two or three blocks there is the open space with hedgerows, and you might be surprised at what’s growing there. Particularly if you’re looking at host plants, a willow or a maple—both of those can also be great sources of nectar at the right time of year. You might see that two blocks away, there is nice patch of maples, or a creek with all these willows, and you might say that’s a cool host plant for a swallowtail butterfly, or a good nectar source for early season bumblebees. Maybe that’s a resource that is already in my local area, and what can I do in my patch to fill out the gaps? Q. There were some plants in the book that I thought I need to up my quotient of, because I’ve either let them go, or had them a million years ago. Like anise hyssop or the giant hyssop (Agastache, above), or Baccharis [below]—I think here it’s called groundsel bush. It’s a strange plant and there are different species in different regions, but for us in the Northeast, it blooms very late, along our seashores I think. Amorpha—the lead plant and the other Amorpha species. Again, the book is not an encyclopedia, but it reminded me of many genera of plants that I have not kept in the garden that I once had that had great wildlife value—like the Monarda, or bee balm. A. Here’s something to think about, and if it pushes you in a new direction, that’s great. And if it shows you something that you’ve already got that you can value more, expand—and that’s great too. Q. I want to ask you something tactical. Say we read the book, and we want to make room and we pick a spot for more pollinator plants. The best tactic for prepping the area—I believe Xerces recommends solarization. Q. So I could do it and have a fall planting next year, or perhaps sometime in the summer. A. And you can also smother with old carpet, or layers of cardboard—there are other ways of mulching the ground that can smother weeds. It’s just that solarization is the one that does the harshest job on the plants, and stops the next generation of weeds from coming through. Did you add any plants to your garden specifically for their interest to benefical insects like pollinators, or are any plants in your landscape particularly abuzz with life in season? No answer or feeling shy? Just say something like “Count me in” and I will, but an answer is even better. I’ll select a random winner after entries close at midnight Monday, November 21, 2016. Good luck to all. MY WEEKLY public-radio show, rated a “top-5 garden podcast” by “The Guardian” newspaper in the UK, began its seventh year in March 2016. In 2016, the show won three silver medals for excellence from the Garden Writers Association. It’s produced at Robin Hood Radio, the smallest NPR station in the nation. Listen locally in the Hudson Valley (NY)-Berkshires (MA)-Litchfield Hills (CT) Mondays at 8:30 AM Eastern, rerun at 8:30 Saturdays. Or play the Nov. 14, 2016 show right here. You can subscribe to all future editions on iTunes or Stitcher (and browse my archive of podcasts here). This past year the Autumn Joy were covered with pollinators. Once, there were four different ones on a single plant. I helped start a small pollinator garden at the local elementary school with the Kindergartners. We planted Marigolds, Calendulas and Sunflowers and Perennials: Catmint, Helenium, Liatrus and Butterfly Weed. A great experience for all. As a new beekeeper in KY, I’ve enjoyed observing which plants my bees go to each week. It’s been fascinating! Thank you to everyone who plants for the BEES!!! I’ve been growing asclepia and sharing plants with friends. Our results are uneven, but we are seeing some caterpillars and adult monarchs! I plant zinnias, blanketflowers, cosmos, coneflowers, salvias, basil, and rosemary that attract bumble bees, honey bees and butterflies. The native plant, Maryland Meadow Beauty attracts bumble bees and hearing the hum of the bees working in the flowers in June is a delight! I do think of the pollinators when I choose plants. An open faced dahlia variety called Marie Schnugg is very popular with many bee species. I have Erica (heath) which blooms in winter and the remaining flowers are there for the first emerging bees. The coneflowers are always a hit and the catmint is particularly popular with the bumblebees (maybe not a true bumblebee-smaller version that nests in piles of leaves/debris) in summer as are the Autumn Joy sedums in fall… the snapdragons, marigolds and alyssum go until the first hard frost. I try to have something to offer for as much of the year as I can! I added Agastache Scrophularifolia. My thinking about gardening turned around with “Bringing Nature Home” – now I try and garden with plants that support the wildlife around where I live. Agastache Scrophularifolia (aka the giant purple hyssop) is a modest plant, but spectacular when covered with bees and other pollinators. I surprisingly find that my PeeGee hydrangea trees have lots of pollinators on them all summer. Also I let Verbena bonariensis self-seed around the garden and find pollinators on them through the autumn. I started a garden spot specifically for butterflies and bees this spring. This fall I seeded the spot with showy milkweed seed I collected and other seeds. I’m also adding cosmos. It’s really exciting to see the caterpillars, bees, and butterflies. I have various other garden plots such as annual flowers, perennial flowers (shade and sun), and a kitchen vegetable garden. So there is lots of plants and shrubs for the pollinators to choose from. It’s a great relaxing and fun hobby. Did you add any plants to your garden specifically for their interest to beneficial insects like pollinators, or are any plants in your landscape particularly abuzz with life in season? I LOVE to feed the bees — and all of their Pollinator Friends. I added Mountain Mint this year (although I really don’t have room for it!). I could watch the wave of pollinators across the tops of the Mountain Mint all day; it’s mesmerizing. The pollinators also seem to love my bee balm and various rudbeckias. Milkweed a few years ago, but it hasn’t bloomed yet. It may need more sun. Do paper wasps count as pollinators? I have a glut of them but I never see them in the garden. I leave my borders of wild phlox and goldenrod to bloom for the late season, and I have plenty of flowering clovers and daisies in my orchard. Buckwheat, too, and wild thyme. There’s always something abuzz!! Sign me up for a chance at the free book! 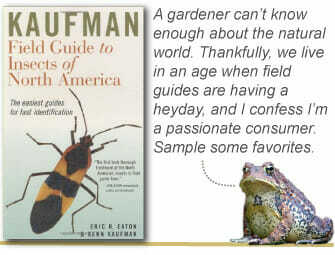 I have their Native Pollenator book and it is awesome!!! We moved to a new home this past year and I started a new garden. I planted lupine, coreopsis, hyssop, echinacea, cosmos, gaillardia, alyssum, marigolds, daisies and others. On a mission to learn as much as I can about planting natives for pollinators. I let my oregano flower which really attracts bees. This year I added some as a border on the other side of my garden. It does have very attractive purple flowers. I need help with this , my garden has flowers but I am not sure what is good for the bees. I need this book :) Have over an acre of woodland type land and wood like to plant pollinators at the edges. Wonderful organization and website, BTW. AND THE WINNER IS: Judy Krause. Thank you all for your enthusiasm for this important topic. Loved your comments. The best thing is when I sit on my deck and watch tons of butterflies all over my Butterfly Bush. I feel richer than anybody. One prolem though, is that I did tear up the lawn and fill the yard with a ton of diverse host plants for insects. Now I need to sell this house and nobody wants to buy because they say they are intimidated by the yard. Sheesh. So I have started to dig up and give away stuff but now it is too cold. Will continue in the spring. My garden goal, other then being beautiful, is to support insects, especially bees, and to serve as an example and inspiration for neighbors and friends. If my neighbors can see that they can have a beautiful, healthy garden that supports nature without using chemicals, then I have done a good job. I inherited the beginnings of a garden when I moved in with my now husband. I have spent the last 8 years learning the difference between gardening in WNY and gardening in middle SC. Changing from zone 4 to zone 8 has been a real challenge! It is slowly developing into a butterfly/bee/polinator haven. Ever year it gets a little better, more polinators and more wildlife in general. I consistently work toward educating myself about appropriate plants and beneficial habitats for our area. 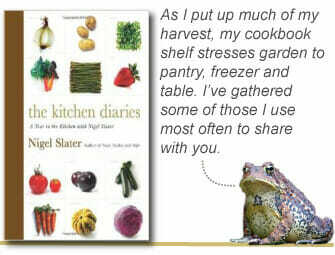 I would love a copy of this book to add to my other garden reference books!